Synel, an Israeli and world leader in the development of attendance and HR management systems, has been selected to supply a central workforce management solution for one of Israel’s largest service and security companies – Ovadia Brothers. 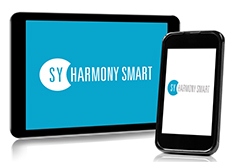 The project includes Synel’s Harmony HR and payroll system, plus Biometric attendance system terminals which are installed at remote sites and with a large number of employees. The system manages the fingerprint templates and receives data in real-time, a process which is of utmost importance for the company. The terminals are equipped with GPRS components that operate on a cellular communication network, enabling them to monitor their employees’ attendance at any given moment. Each attendance terminal is mobile and can be easily transferred from one location to another without the need for laying out a complex and expensive infrastructure. This new solution includes an advanced and highly efficient payroll system which integrates computerized control processes and eliminates the need for keying in data manually, effectively reducing calculation errors during the payroll production process. Erez Buganim, Synel’s V.P. marketing and business development, says: “Synel is proud to have the Ovadia Brothers join its list of reputable customers. Synel’s solution will enable the customer to gain a broader view and an optimal management tool that integrates attendance, payroll, and HR all in one single system. Synel’s solution will make daily processes easier, more convenient and efficient for both employees and the managerial level. In this project Synel demonstrates technological superiority in real-time management of terminals in remote locations, along with ease of operation and the option for high and effective mobility with no extra costs for all the terminals in the organization”. Ovadia Brothers IT manager, Adam Ovadia, says: “The extensive experience Synel has in the field in which we operate has led to meaningful improvements of all work processes within the organization, causing them to become more efficient, with an emphasis on employees’ attendance and payroll. Payroll production, which is currently performed by us independently, has become an easy process and is being carried out with no delays. The system offered by Synel is a complete solution for complex attendance and payroll management, answering our needs for the efficient management of thousands of employees under high turnover conditions”.